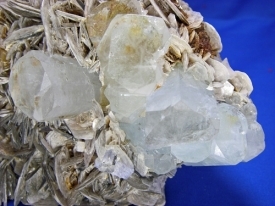 AQUAMARINE CRYSTALS FOR SALE. 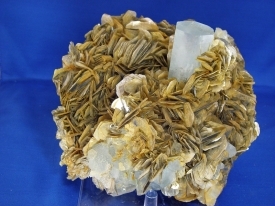 BEAUTIFUL CLEAR BLUE AQUAMARINE CRYSTALS AND CRYSTAL CLUSTERS ON CREAM COLORED MICA. THESE SPECIMENS ARE FROM AFGANISTAN AND PAKISTAN. 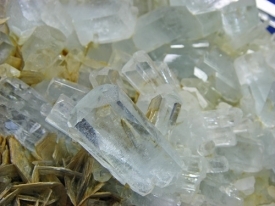 NATURAL TERMINATIONS ON THE AQUAMARINE CRYSTALS AND THE MICA. DUE TO THE POLITICAL CONDITIONS IN THIS AREA, THERE MIGHT NOT BE MUCH MORE COMING OUT. VERY LARGE SIZES FOR LOW PRICES. NICE SPECIMENS FOR COLLECTORS TO HAVE FOR INVESTMENT PURPOSES AND DISPLAY. 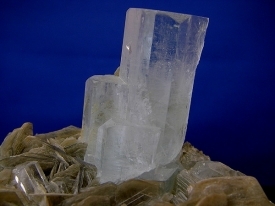 CLICK ON THE AQUAMARINE PICTURE FOR MORE DETAILED CLOSE-UPS.